Facebook’s ad targeting is incredible. You can target those who have provided an email address or visited your website. 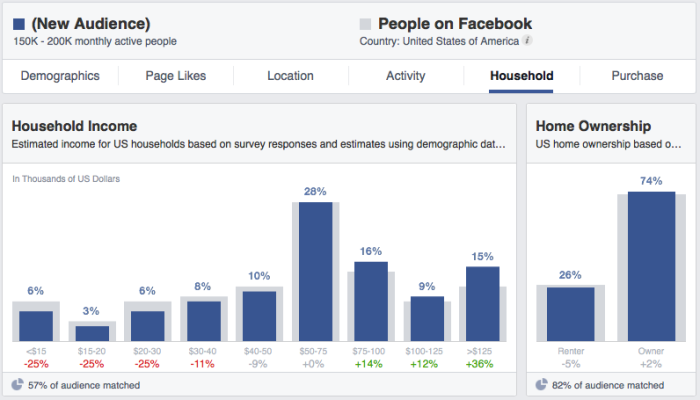 You can also target people based on lifestyle and buying histories. But what if you want to learn more about your current customers or fans? 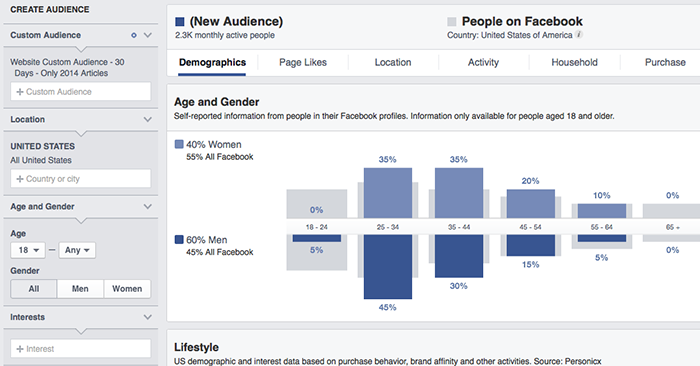 Or what if you want to learn more about certain groups of people on Facebook? 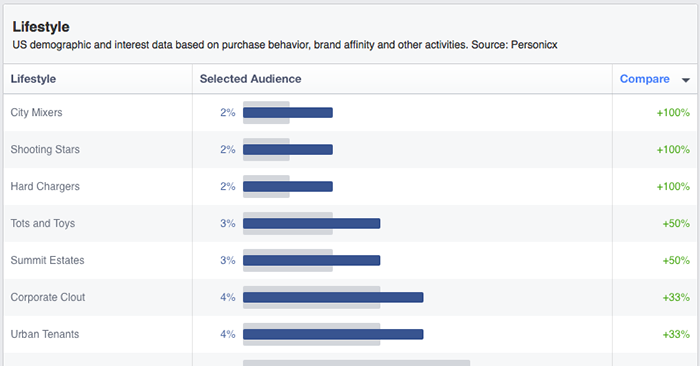 These are the powerful things that you can do with Audience Insights. 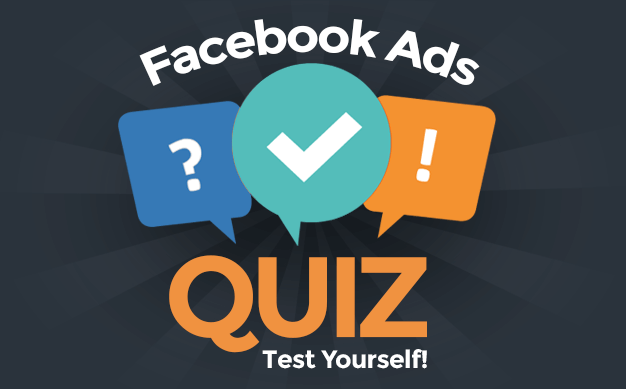 When you learn more about these groups, you can apply this information to further refine your messaging and ad targeting. 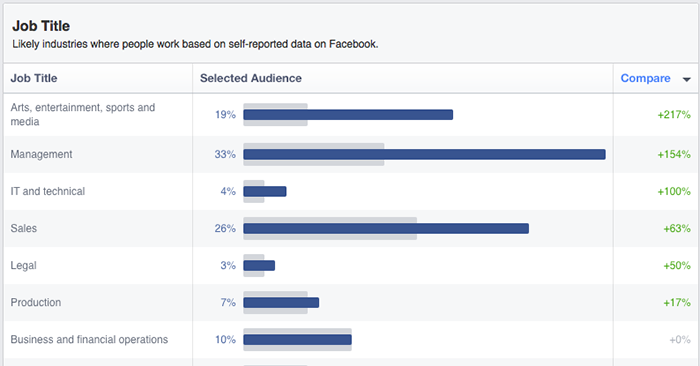 Facebook is rolling out Audience Insights to all admins. 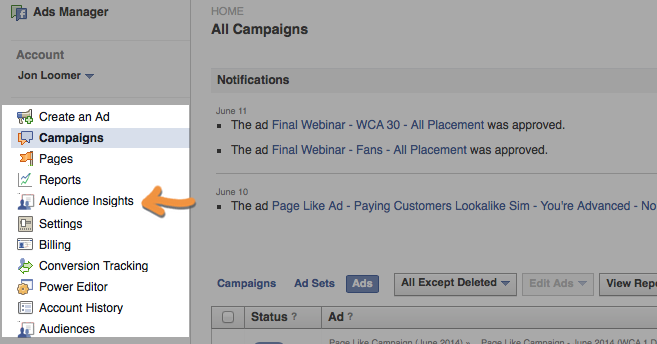 It can be found as a menu item on the left side of your Ads Manager. 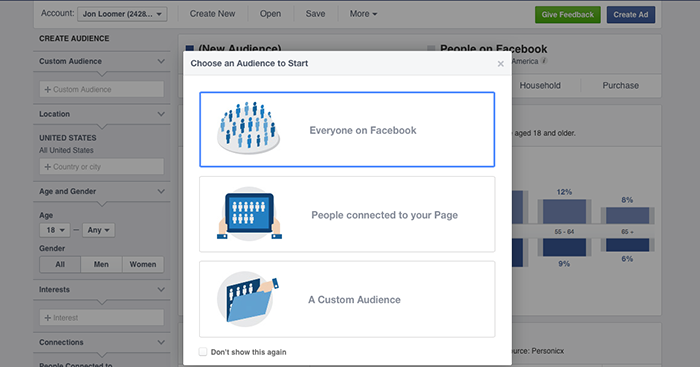 Upon clicking the Audience Insights menu item or clicking on “Create New” at the top of Audience Insights, you’ll get a dialog that looks like the screen capture above. This is essentially just a shortcut to guide you through the process. Truth is that you could narrow your audience in this manner by starting from scratch and using the filters on the left side. Still, this is good for new users. 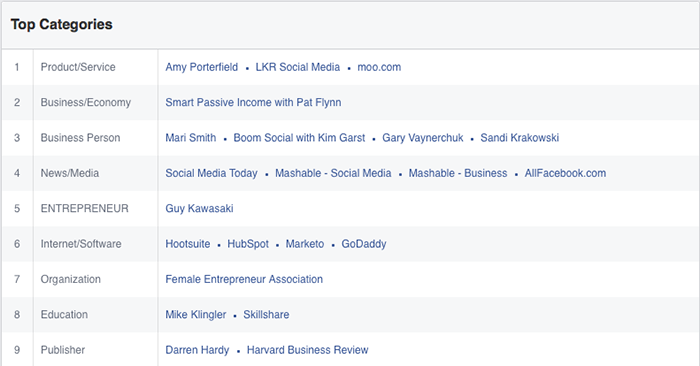 Choose “Everyone on Facebook” to learn more about the typical Facebook user. 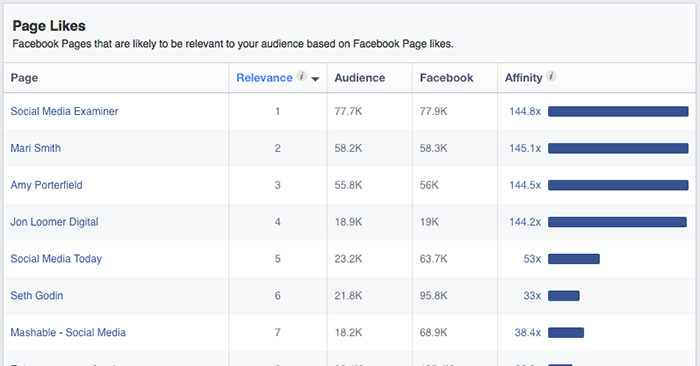 Then view your fans before experimenting with individual Custom Audiences. 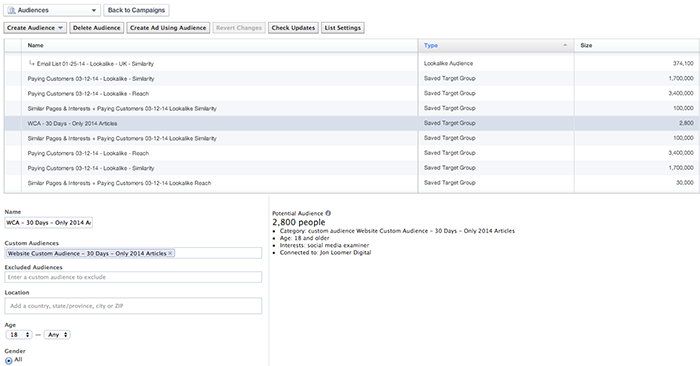 Custom Audiences: View Insights on any of your current Custom Audiences. This, of course, includes email lists, phone number lists, UID lists and Website Custom Audiences you’ve previously created. Location: Add countries or cities to further refine your results. Age and Gender: You guessed it. 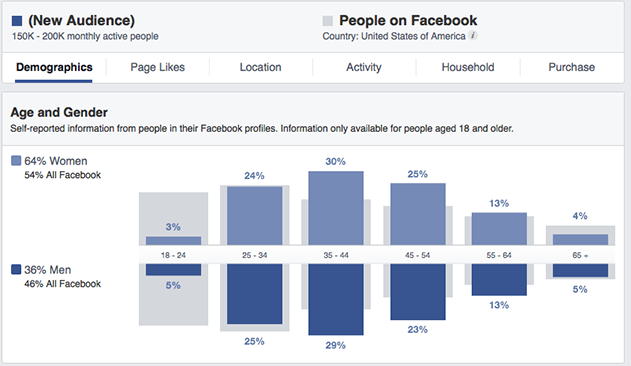 You can narrow down your results by age and gender. Interests: Focus only on people who have particular interests. What is available here is the same as what’s available within Interests targeting when creating an ad. Connections: Break down the people connected (or not connected) to your page, app or event. 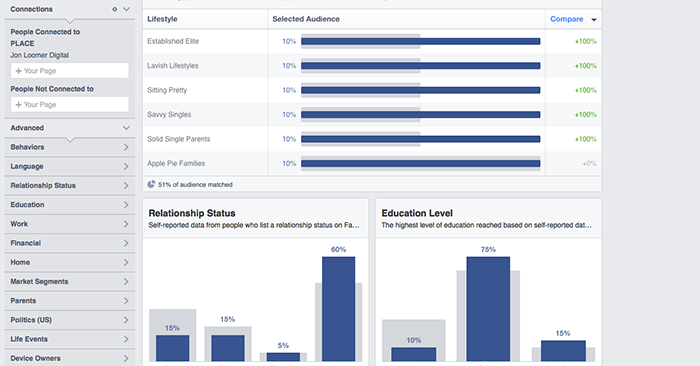 Compare your audience to the typical Facebook user. 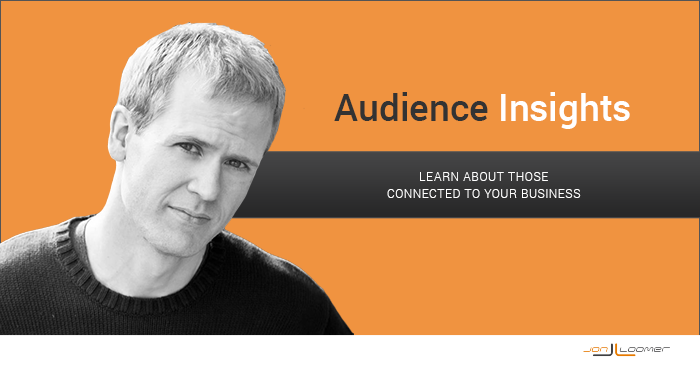 I’ve run Audience Insights for anyone with interests in Jon Loomer Digital, Social Media Examiner, Mari Smith and Amy Porterfield (all within the US). 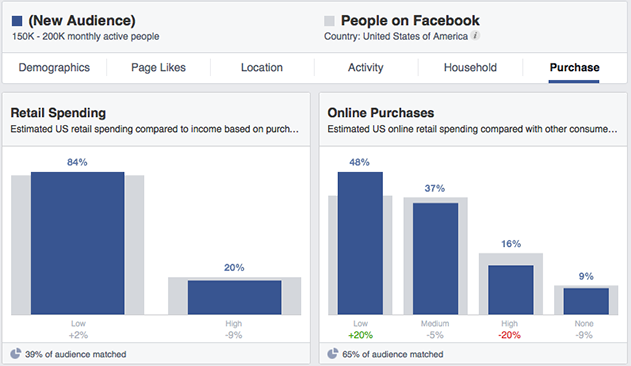 How much income does your audience bring in? Do they rent or own their home? How many people live in the household, and what is the value of their home? How do they tend to spend money? With cash or credit cards? Great, you have all of this info… But now what?? 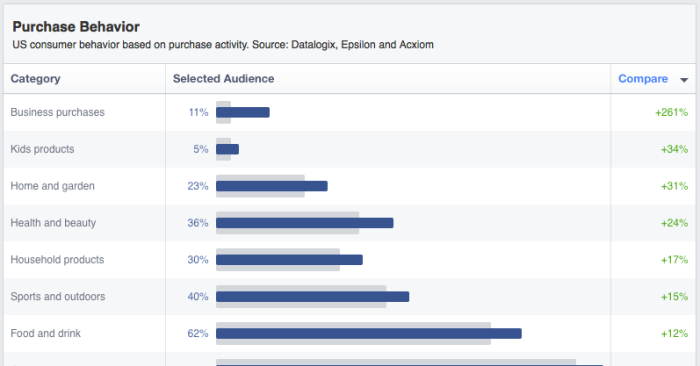 More importantly, though, you can use it in ad targeting! 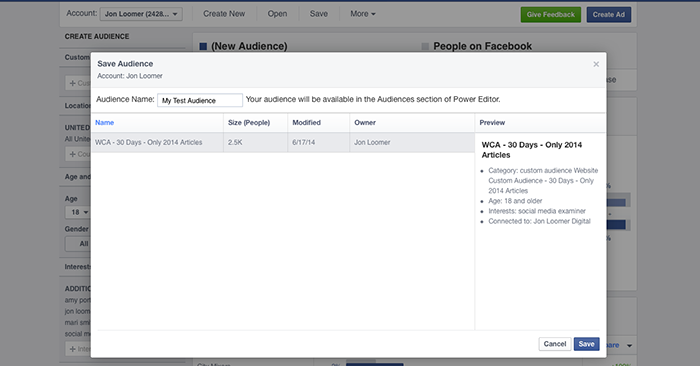 Within Power Editor, any audience you save here will then appear within Power Editor under Saved Target Groups. 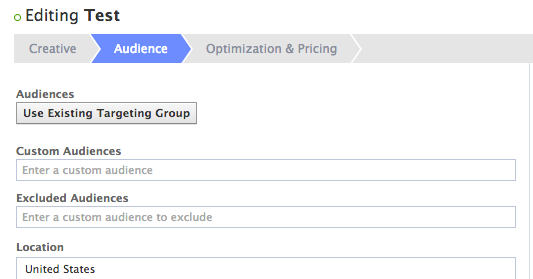 Facebook will then pre-fill targeting based on your Audience settings. Simple! We’ll get into these details more on a later date. But know the possibilities here are endless. 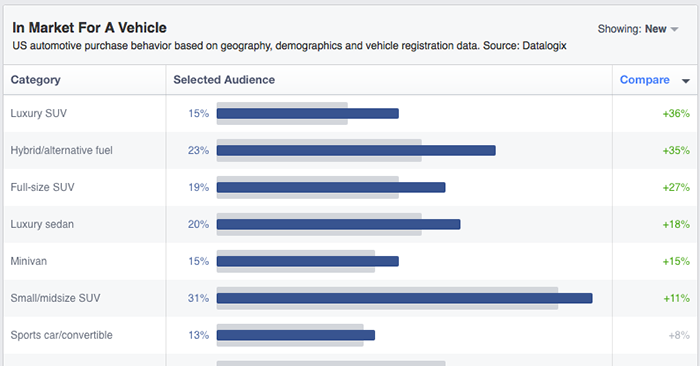 Break down audiences who are your current fans, buying customers or fans of your competitors. 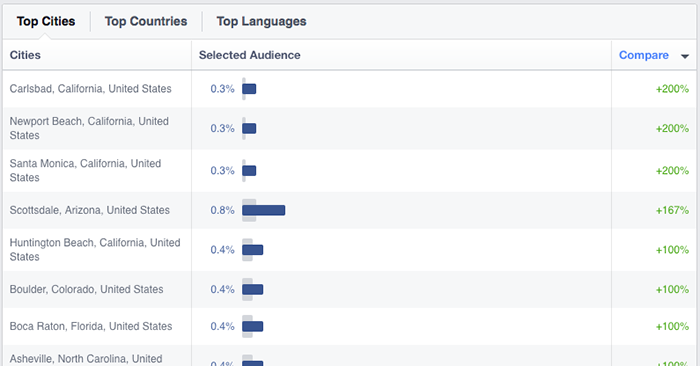 What do you learn from these audiences? Take this information to target in new and unique ways. Experiment! 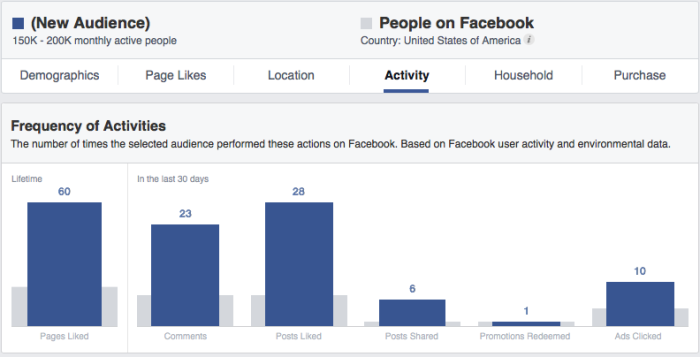 Have you experimented with Audience Insights? What results are you seeing?